"Dr. Rose" provides both Western and Eastern Veterinary medical consultations in the comfort of your home. Acupuncture results are noticeably improved when your pet is treated at home in a calm state. When Traditional Chinese Veterinary Medicine (TCVM) services are provided at your pet's home , your pet will be relaxed in his or her own familiar surroundings and will be more likely to benefit from Acupuncture, VSMT/Animal Chiropractic, and Tui-na therapies. Additionally, many pets suffer from debilitating diseases that make it difficult to transport them to a veterinary hospital for frequent treatments. Our mobile veterinary service can alleviate these concerns. The integrative house call services are currently limited to Traditional Chinese Veterinary Medicine, and Holistic Veterinary Services, such as Acupuncture, VSMT/Animal Chiropractic, Food Therapy and Chinese Herbal Medicine. In some medical cases, an integration of both Western and Eastern medicine may achieve more optimal treatment results. 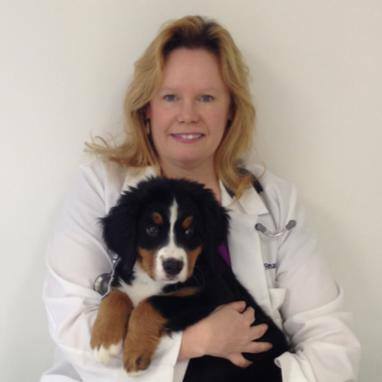 Dr. Rose will work together with your regular veterinarian to meet your pet’s health care needs. You may be referred back to your family veterinarian for additional blood tests, radiographs, or ultrasound studies that would assist in determining and guiding your pet's holistic treatment plan. Follow us on Facebook. Twitter, and Instagram!